EDINBURG, Texas – Rio Grande Valley FC didn’t come away with a victory, but a sellout crowd of 9,700 fans and an entertaining contest in the first game in H-E-B Park history more than made up for it as Liga MX club C.F. Monterrey took a 3-0 victory in an international exhibition on Wednesday night. Fans of both sides flooded into the new venue when the gates opened to the new facility, which becomes the Toros’ permanent home this season. They were almost treated to an early goal, as Rayados’ Aldo De Nigris and Dorlan Pabon both had opportunities in the second minute, only for Toros goalkeeper Borja Argoitia to deny both of them. Pabon claimed the first goal in H-E-B Park history in the 18th minute, however, as he connected with a pass by Yimmi Chara to open the scoring. Monterrey doubled its lead just beyond the half-hour mark as Arturo Gonzalez shot low into the right corner of the net past Argoitia from just inside the penalty area. The Toros almost pulled a goal back in the 55th minute when midfielder Eric Bird’s shot hit the crossbar. Rayados also hit the woodwork 16 minutes later when Camilo Monroy’s curling shot hit the post, but Celso Ortiz rifled in the last goal of the night with seven minutes to go to cap a great opening night. 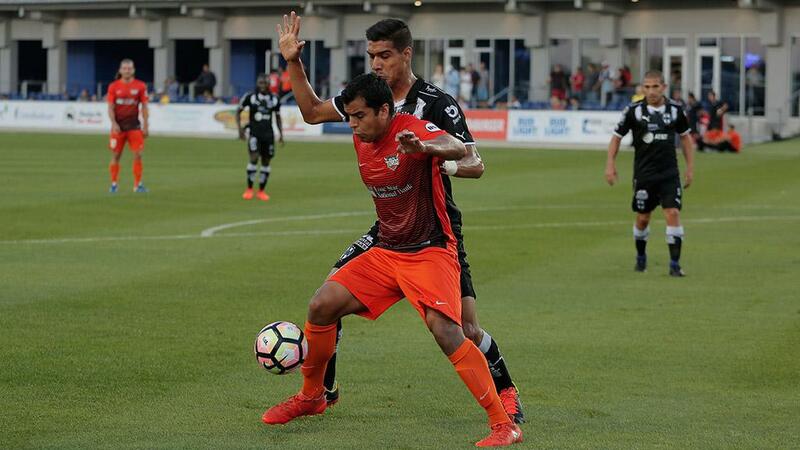 Despite the defeat, Toros Head Coach Junior Gonzalez was pleased with the way his side played in its final tune-up before the opening game of the 2017 USL regular season on Sunday. "I liked the way we played the ball in the ground, we played it quickly and we created opportunities to score," said Gonzalez. "We are a team that is going to compete collectively and we want to make sure that we can put ourselves in a position to win every match to compete for the USL championship." The Toros kick off the 2017 USL season this Sunday as they welcome San Antonio FC to H-E-B Park for this year’s first edition of the South Texas Derby.